I have been enjoying and loving micellar water from past few months. I love the concept of Micellar Water. Need to remove makeup? Micellar Water! Need to feel fresh and clean? Micellar Water? Need to correct makeup mistakes? Out of your toner? Micellar Water! And when the Brand "Simple" launched India, which is dedicated to sensitive skin, I made my mind to try it because simple skincare products are affordable as well as compared to other International Products launching in India. 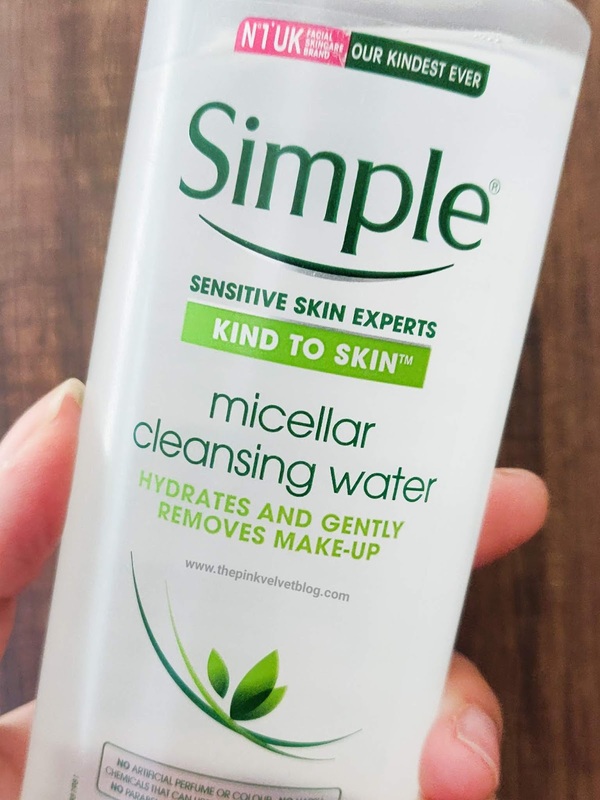 I tried the Brand "Simple" with it's Micellar Water first and OMG! It is honestly a wonderful product. The fact that is is made for sensitive skin and is free from all the harsh chemicals made me happier. I tried both, Garnier Micellar Water and Bioderma Micellar Water and yes, no doubt Bioderma is one of the best and original, and I personally love it, but nothing worked on waterproof makeup. After trying this Simple Micellar Water, I am really Impressed because it actually worked on waterproof makeup as well! Yes, it did. Know more about the Brand "Simple Skincare" here. 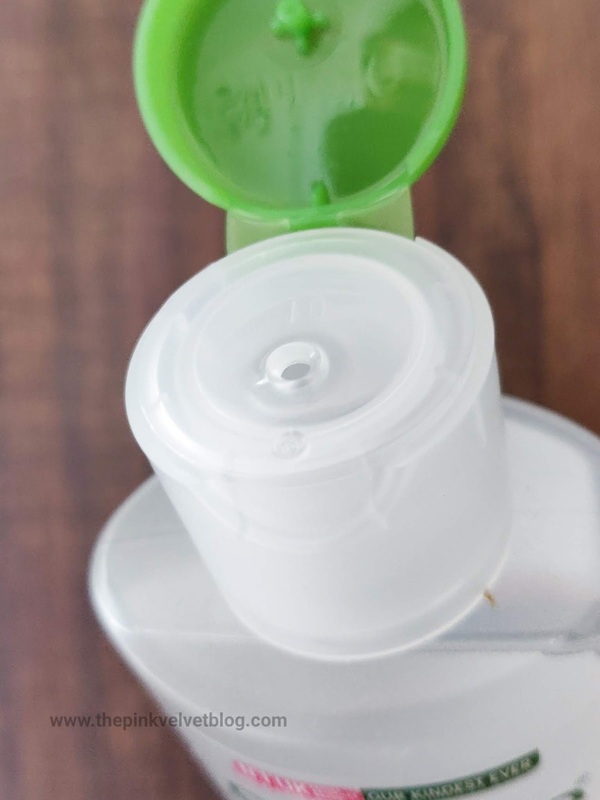 Packaging: It comes in a squeezable transparent, plastic bottle with a flip-flop cap having a nozzle inside to control the dispense of the product. The lid, I feel, is secure enough to keep the product leak and mess-free. Fragrance: Has no particular fragrance as such. Only a mild hint of default micellar water kind of fragrance. 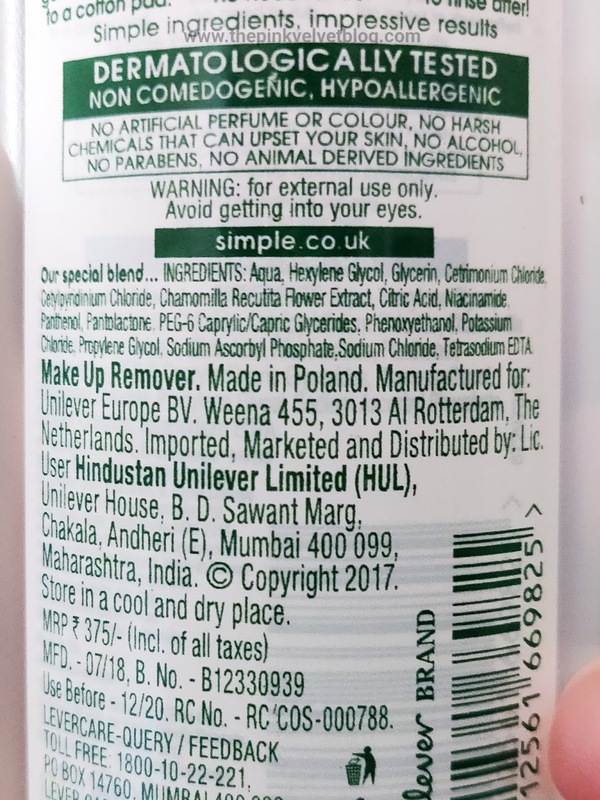 My Experience: After trying multiple options for micellar water, I was honestly not expecting this to remove waterproof and long-wearing makeup but somewhere in my mind, I was really hoping so because I really wanted to have micellar water which works on the waterproof makeup. I tested on Maybelline Lash Sensational Mascara which is by default is the toughest waterproof mascara which even strong makeup removers can't take it off. Surprisingly, this Micellar Water from Simple Skincare, disolved and wiped off the Waterproof Maybelline Lash Sensational Mascara. What more I needed? It passed the test. And I didn't even felt the need for rubbing or swiping hard more than required. 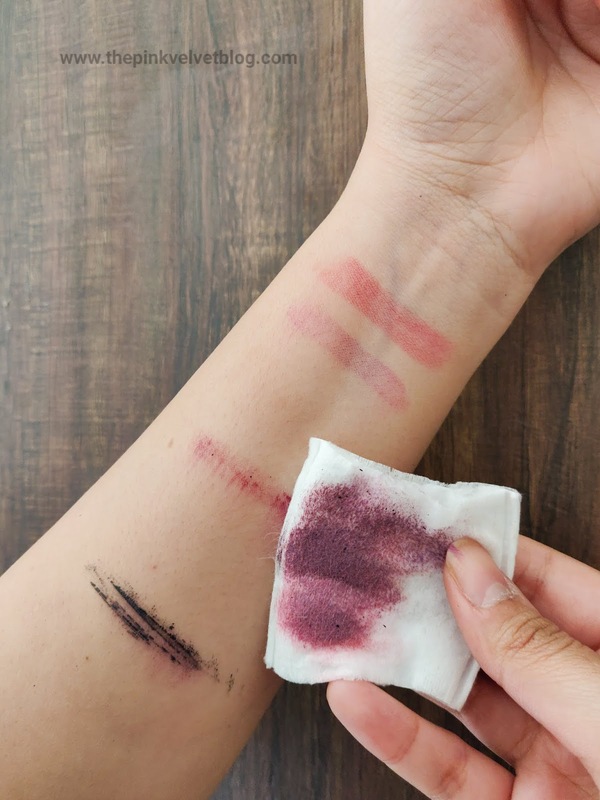 To test it as a makeup remover, I tried it in all possible ways. 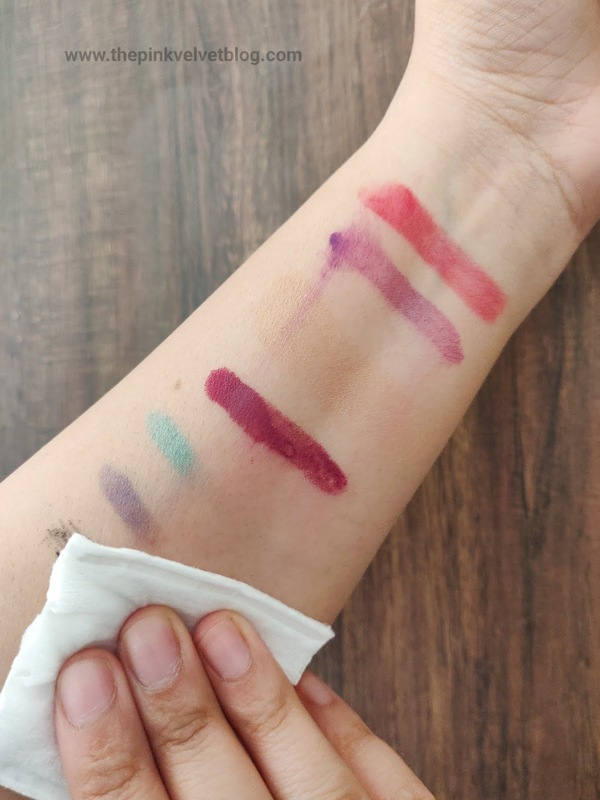 Long-wearing foundations, eye makeup, liquid lipsticks, and everything I could think of, it removed all my makeup effortlessly. Next, I tested it to see if it actually cleanses the skin. 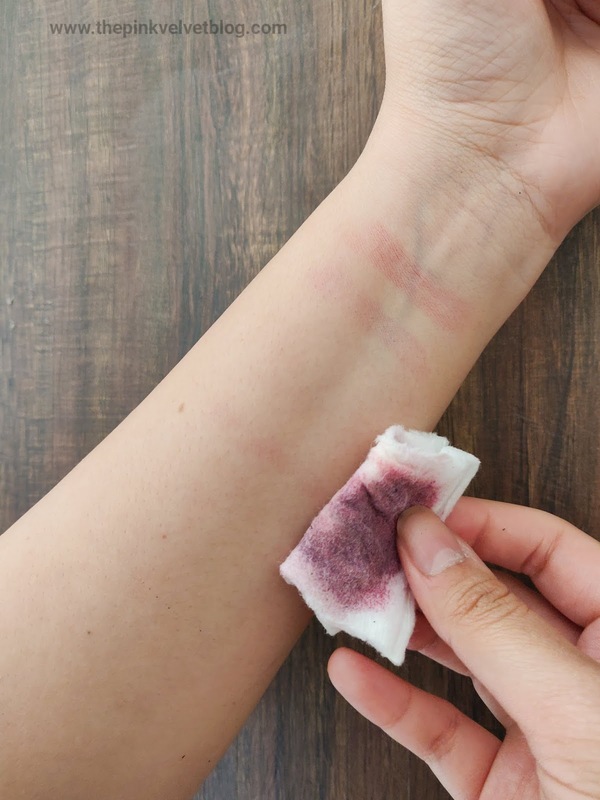 For this, after waking up in the morning, having all the oil and grease on my face, I took some amount on the cotton pad, wiped my face, and I actually saw dirt on the cotton pad. It not only cleansed but also added freshness to my face. When affordable things work, I literally feel satisfied. 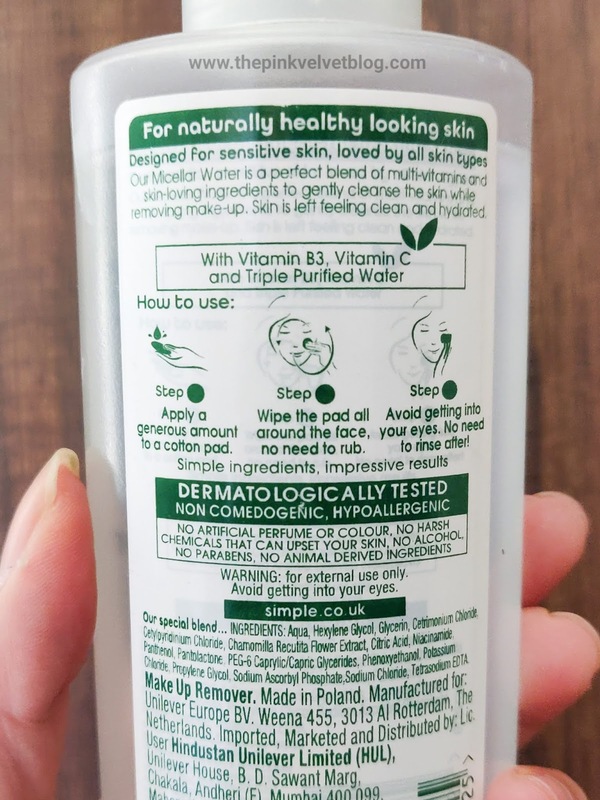 Post using Simple Micellar Water, I didn't feel any stickiness, dryness, or anything. It passed the test and I am definitely going to recommend Simple Micellar Cleansing Water only. 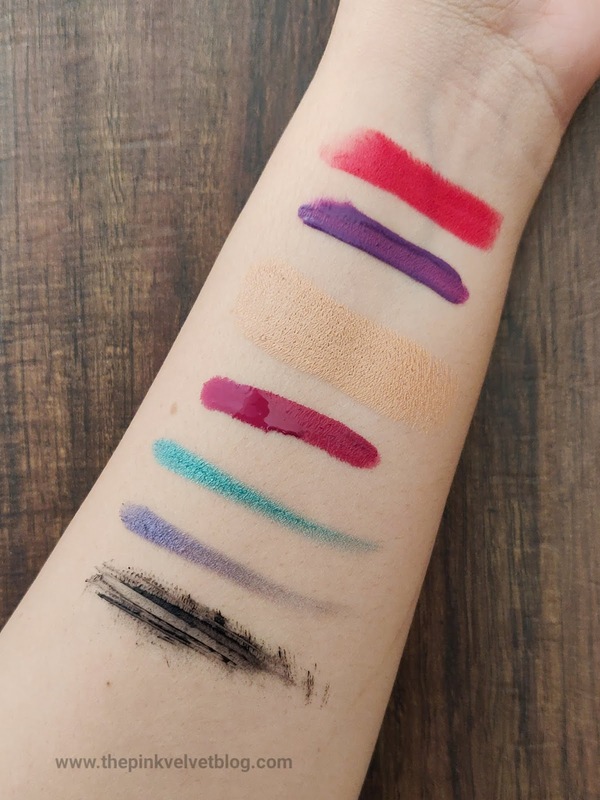 I swatched some liquid and cream lipsticks, stick concealer, eyeshadows, and waterproof mascara. So happy to have micellar water which does all the job. Especially taking off long-wearing makeup. Simple Skincare Micellar Water does the job of cleansing and makeup removing very well. 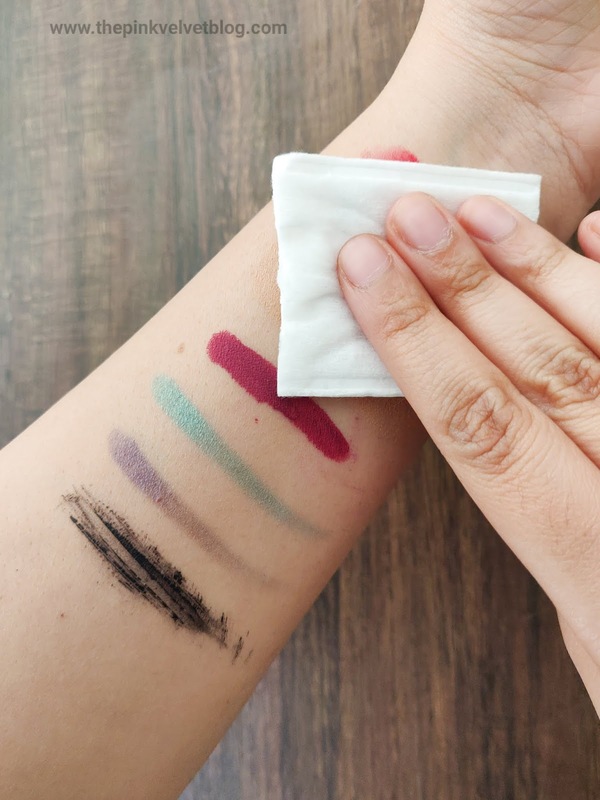 It takes off the waterproof and long-wearing makeup with ease. Cleanses the skin well. Adds freshness to the face without leaving stickiness behind or causing any itch or burning sensation.